Newington College has been documenting its history from the first day the College opened its doors on 16 July 1863. The Archives collection at Newington College is as rich and colourful as the people and stories that populate it. Dating from the day the College opened on 16 July 1863 where 16 boys were enrolled, our Archives collection covers everything from written and photographic material to drawings, uniform items, sporting equipment and other paraphernalia that were all part of the everyday life of boys and staff at the College. Records such as those of College Council minutes from meetings starting from 1866, architectural drawings that depict the early construction of the Founders Building in the 1870s, and all editions of the school magazine (now yearbook) The Newingtonian can be found in the Newington College Archives collection. Got a question for the Archivist? if you would like to donate material or make an enquiry, please fill in the form below. Enquiries are welcome from members of the Newington community and beyond. For this service, a donation of $30 is requested. An additional amount may be requested if the enquiry requires substantial research or copying costs. Click here to make a one off payment online. Information and content from our archives are used for a wide range of purposes across the College and its community, including teaching, legal purposes, building projects, development and alumni events, and College publications. Recent engagement by students and their teachers with the archives has included First World War research projects by Year 9 Civics History students and Year 6 students, and visits and activities by Mentor Groups, classes from Wyvern House, and PDHPE and Visual Arts classes. ‘Archives are forever’, as we say in the trade, and I’m determined to play my part in ensuring that we can benefit from understanding our history through well-managed archives well into the future. For a school like Newington, there are great opportunities for using our archives which we are just starting to realise. For most people, ‘archives’ equals ‘old’, ‘dusty’ and worse. But archives management is an information science and archivists use a range of today’s information technologies — including database systems, digitisation, even ‘Web 3.0’ and social media tools — to manage, provide access to and promote archival resources. And we’re concerned as much with how to preserve and provide access to today’s ‘born-digital’ records and information as archives in the future as we are with traditional forms of records. At Newington, we love and respect our Archives Volunteers, especially for their continued dedication to the College. Ultimately, though, we have volunteers because of the value they add to our Archives program. Roger adds enormous value, both through his own hard work, knowledge and enthusiasm. Perhaps the most important thing I’ve learned from Roger is the value of family, friends and a positive outlook on life. It is very rewarding to be able to take some part in preserving the many stories that have made up the College’s history. It is important to have an archive because we learn so much of our present actions by acknowledging the deeds and attitudes of the past. Being part of the Sesquicentenary has been extremely exciting especially as I was a pupil of the school in its 75th Year, became a parent in its Centenary, and now working in its Archives in its 150th Year. As a volunteer in the Archives I have learnt a totally new concept of the skills and the work required for a proper appreciation of this work. I value David’s extraordinary interest and delight on the reception of any new archival item and the brilliant system he has set-up for the storage and cataloguing of all that material. I must also mention the amount of effort and the close attention to detail he has given to the presentation of past students’ and staff’s biographies, particularly those who have contributed so much to the success of Newington’s history. 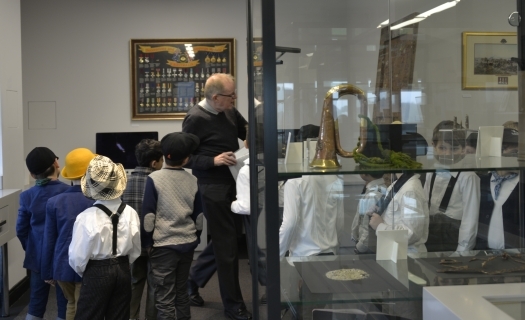 The ‘Swain Room’ is the place where students, parents, staff, Old Newingtonians and other members of the College community can engage directly with the Archives collection and Newington’s history. The Reverend Dr Peter Swain OAM RFD was Newington’s Chaplain from 1970 to 1996 and served as part-time Archivist and then Archives Volunteer until 2010. The Swain Room honours his crucial role and many achievements in building, preserving and promoting the College’s archives over a period of forty years. The Swain Room represents the ‘tip of the iceberg’ for the Archives collection. Most of the collection is preserved in a climate-controlled repository in the Concordia Centre. A changing program of displays tells Newington stories through documents, images and objects. Class and mentor groups make regular visits, whether for researching a project or simply to soak up some of the College’s past. A visit to the Swain Room is often a part of alumni and other events. The Chaplain Swain Room is now permanently located on the second floor of the Founders Building in the ONU Centre. Over 1,000 objects of all shapes and sizes are now stored in climate-controlled rooms at Concordia. The Archives holdings are used to support Newington’s educational mission, its management functions and its many forms of engagement with the alumni and other members of the Newington community. 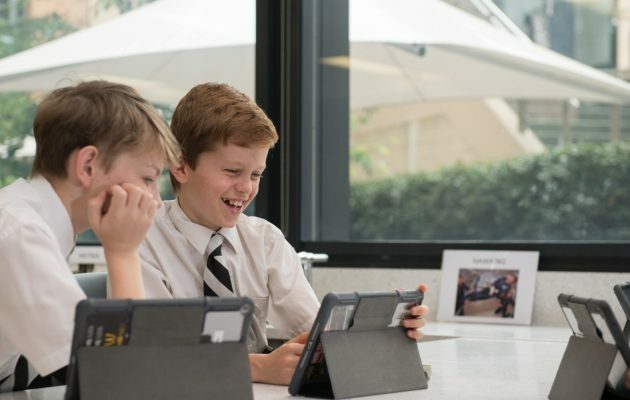 The Newingtonian has been chronicling the lives and achievements of boys and staff since 1884. A project to digitise The Newingtonian, nearing completion, will make this wonderful resource available online.